Must have 1-2 years' experience in Identifying new sales leads, Able to provide quality leadership to a large team of sales people, Develop sales opportunities by researching and identifying potential accounts, Create and deliver qualified opportunities to other team members. 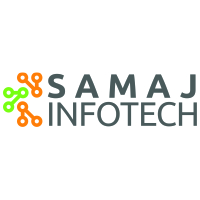 Samaj Infotech is the best Game Development, Website Design & Development, Mobile Applications and Animation Development Company based in Gandhinagar. We provide services that build a brand. As a leader in digital marketing, our key focus is transforming the applications through our advanced techniques in implementing web services, game development strategies, and feature-based android and iPhone applications. Nothing is more rewarding for any business when the clients are fulfilled with the quality and the delivery of the services. We promise the best to you.